Hello Reader! Love The more Serious Roles Matthew McConaughey Plays? Well Hey this new movie should be up your ally so check the news and trailer below. Free State of Jones is a Movie Based on a true story. From the trailer we get what looks like a Pretty cool story, Action and drama that looks to hit on most Emotions. Acting looks great and I feel Matthew McConaughey is on a roll picking roles. This film looks pretty good and I cant wait to see it. What about you? 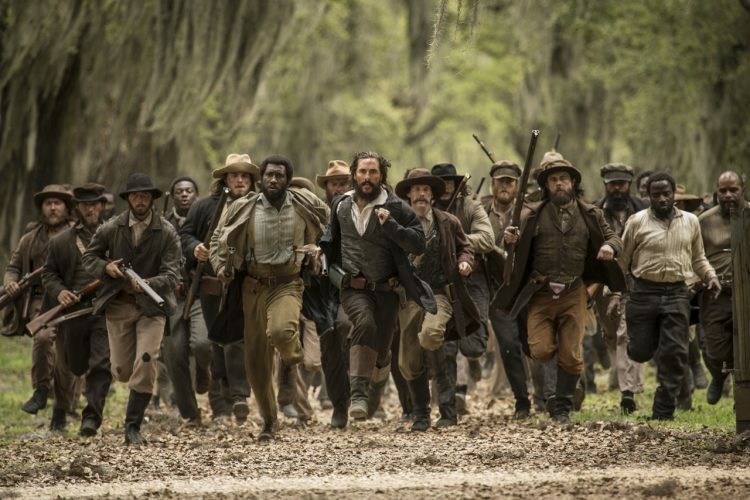 Plot: Set during the Civil War, THE FREE STATE OF JONES tells the story of defiant Southern farmer, Newt Knight, and his extraordinary armed rebellion against the Confederacy. Opposed to both slavery and secession, Knight launched an uprising of poor white farmers that led Jones County, Mississippi to itself secede from the Confederacy, creating a “Free State of Jones.” His relationship and post-war marriage to a former slave, Rachel Knight, effectively established the region’s first mixed-race community. Knight, continued his fight into the post war period, resisting Klan activity through Reconstruction. His legendary rebellion distinguished Newt Knight as a compelling, if controversial, figure of defiance long beyond the War.